Positivity, peace and self-worth are important messages we need to hear in our fast-paced world. Slow down and take it, this is one advice that Robert Clancy can give to people who are experiencing a low point in their lives because he went through one when he was 19. But it was in 2012 when he was touched by an angel and received divine inspiration and become this logical man who believes in the spirit and a greater power. 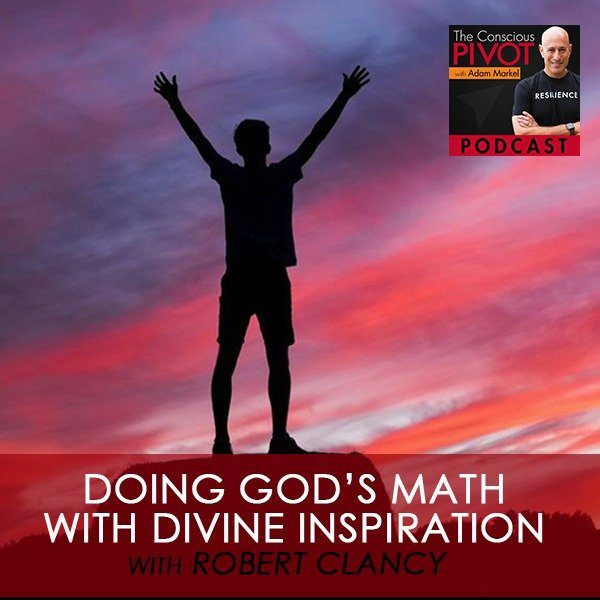 Robert shares his stories of divine experiences and inspirational moments as a way of doing God’s math to reprogram everyone to happiness and peace. I feel so wonderful in this moment. I feel grateful and appreciative that I get to be here. It is without a doubt no guarantee that we get to be here in this moment so it’s a blessing. I feel honored to be able to spend my time this way and also to be able to remind myself as well as remind all of you how special it is that we get to be together. Wherever you are, we’re always doing some different things as we’re consuming content these days. The one reminder I have for myself and that I have for all of you is that we are together. We are connected through this medium, but we’re always connected. Through this breath, we are connected. Wherever you are, whatever you’re doing, I know that you are in fact breathing. What we’ll do is just create some consciousness around our breathing. We’re just a moment as I’m speaking. If you can give yourself just a moment to close your eyes and take a deep conscious breath and realize as I’m realizing it how divine this moment is, how blessed we all are, how important this moment is. It provides us an opportunity not just to be present in name or as a term, but to be in the experience of our lives fully and to appreciate in this moment the infinite that’s within us, all that there is that we have yet to experience, that we do not know and how much a gift that is for ourselves and for the world. As we take this breath, as we receive a breath, there are people who are taking and receiving their very last breath in this moment. It really is something to appreciate regardless of whether there are challenges in your life or challenges in everybody’s lives, to be in appreciation, to be in gratitude is divine. It is a wonderful place for us to begin this podcast. This is going to be a wonderful episode, a wonderful show because I have a gentleman with me. His name is Robert Clancy and I just met him. He’s a new friend and I’m already a huge, huge fan of him as a human being. He’s just a good, good man and somebody that I think you are going to enjoy listening to, learning from. He’s got a pretty magnificent story. He’s got a great pivot story, not that we ever compare these pivot stories. Everybody’s got their own. It’s always unique and they’re always so special. This gentleman has done some pretty incredible things. 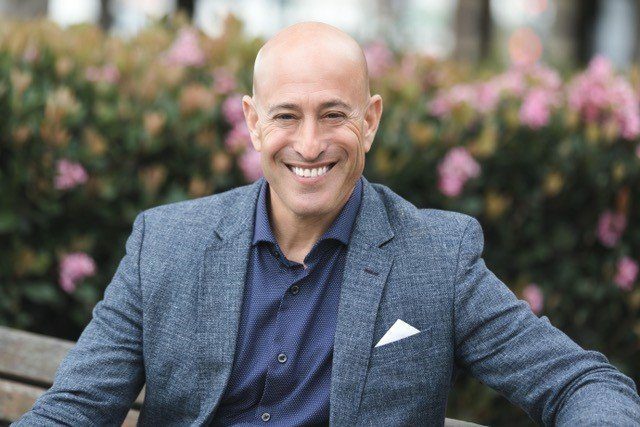 I’ll bring him on and you’ll get to hear directly from him what he’s passionate about, what he’s working on in his business, his life, and how his pivot has led him to the place that he is in this moment. He is the Founder of a company called Spiral Design. They’ve been around for 30 years. An incredible company in the marketing space, ad design and branding. It sounds like they do some really incredible high-end work for companies large and small. Among those companies are Citigroup and Home Depot. They’ve done a lot of work with entrepreneurs and small business owners as well. He’s going to be a great resource. We’re going to talk a little bit about that, how he got into that business, as well as some of the other pursuits he’s had. He’s also a best-selling author. He writes about spiritual topics, something that is really near and dear to my heart as well and has an incredible following on Facebook. I don’t want to say too much but toss it back over to our guest so he can share what he’s passionate about. We were talking about his work as a volunteer for a youth organization that is also something that’s really near and dear to my heart. Without further ado, Robert Clancy, welcome to the show. Thanks for having me on, Adam. It’s truly an honor and a pleasure to be here. I really appreciate the work you’ve been doing. I’d love to know what is it that you’re really passionate about? I know we’re always looking for inspiration. I’m no different, you’re no different. We wake up in the morning, put our feet on the floor and ask for some assignment, I believe. Either consciously or unconsciously, we’re looking for that assignment on a day-to-day basis, and you’ve been really productive in your life. Tell us a little bit about what you’re committed to these days. Fill in any gaps in my introduction of yourself and we’ll go from there. That’s the beauty of life. It unfolds every day. I’ve had quite a journey so far. I’m absolutely loving every moment of it. That’s the beauty of life. It unfolds every day and you have that. I love the beautiful blessing and the gratitude message that you started with because that’s really what it’s all about. I’m passionate about bringing a message of positivity, peace and self-worth to the world. I do that through my inspirational post. I’m one of those people that I really see my path. There’s a career and a calling, and they’re both intertwined like DNA, using my career and my business and marketing and these incredible creative people that I work with to get a message out to the world. I’ve stepped out of the elevator on the floor. I’m there and ready and poised to do this. I have a huge national television appearance coming up. Are you a little nervous about that television appearance? No. I’m really excited about it. I had my pre-interview. It’s just a beautiful thing. They left me with this message, “We’re looking forward to learning from you.” That just set the tone for, “I’m ready to do this.” I didn’t really set out per se to do this or to become famous or to go on that level. It’s more of something that I need to do, not something I want to do. What’s the need based on? I had a divine intervention at nineteen. Let’s just say beyond a shadow of a doubt that I have no doubt that there’s a heaven. I’ve had to live with this knowing since I was nineteen. I kept this a secret even from my own family. I was at the lowest point in my life at age nineteen. This person recognized it in the workplace that I was at and she gave me this book on how to meditate, and I went home and did it. Before I started I said, “If there’s a God, I need to see something. You need to show me that tonight. Also if you exist, I need help because I’m at rock bottom.” I lost friends to suicide and car accidents, and just my whole world fell apart. I was nineteen years old in between first and second year in college. I was destroying myself. I didn’t want to be here. I started this meditation and all I can tell you is what I told my dad in 2012. That’s the first time I told my family. During this meditation, an angel manifested in front of me. I know what I saw because I’m a programmer. I’m the most logical person you’re going to meet on this planet. I actually got the highest score on the logic exam in college, that’s how logical I am. You and I are simpatico in so many ways. We have a nineteen-year-old son, Max. His first semester of school, he just completed it. He took Logic and got an A. I remember that was one of the courses because I was terrible in math. I got an A in Logic. It was the easiest course I’d ever taken. I ultimately became a lawyer for a bunch of years. Eighteen, nineteen, seventeen, I don’t know where it began but that’s a tough time in a teen’s life. I can’t speak for how it is to be at that age as a young lady, but as a young man, I know it was difficult for me and it was difficult for our son. We have three daughters and two of them didn’t have such a hard time around then. The third one who’s seventeen now, she’s got her ship pretty steady on the water, but Max did have a harder time. I would say had some things gone differently, he wouldn’t be here. We just got a phone call from some dear friends of ours. We have some deep connections to the East Coast. We live in California now, but my dad lives in Western Massachusetts. My wife and I met in Massachusetts. We still have a place there. Some friends of ours that live in that community let us know that an eighteen-year-old young man in that community was on his way to school and fiddling maybe with the radio or something and veered off the road with two other kids in the car. He didn’t make it but the other two are okay. We had that happen in our own community. There were four students in a car coming back from a basketball game. These are kids doing everything right. Another guy, same age, is doing everything wrong, hit the back of their car and ended up killing two of them. He pleaded guilty to all accounts on this. I guess that brought some closure to the families. I became friends with this girl of one family. It was two couples in the car. The football player, he was the captain of the team, this guy that looked out for everybody. Then there was a young woman who was also a star in her softball team was the girlfriend of the other couple. Those two lost their lives. My words are on her headstone. The family approached me. I wrote something because I started putting these messages out on my Facebook page, and now there’s over 660,000 people following the post. I just decided one day, “I’m going to set a goal to write one inspirational thing every week for a year.” I thought that was too easy so I did it every day. I just started putting these messages out and all people around the world have been touched. Divine Inspiration: You’ll never have respiratory issues when the air is filled with love. Just breathe and enjoy life. That’s every day. I travel the subway for years and years in Manhattan. That’s a daily conversation. Do you happen to remember the words that are on that headstone? “When you love with all your heart, life becomes one big smile.” Those are the words. I was thinking to myself as you were sharing that, “Do I want to digress into that place?” The truth is it’s important. There’s a huge issue in the world in a lot of different areas of the world with depression, with suicide in fact. I remember we were in Australia a few years back and they had a huge uptick in the suicide rate among men and women from about 20 to 35 years old. We came back to the States, we’re talking about it, we’re thinking about it. We had been delivering some workshops there. We love the Australian. We just love that community and love going there and all those things. We have a number of people in our community from Australia as well. We got back and we were just about to launch our book Pivot. We were in Manhattan for this launch party in a restaurant, I looked at the newspaper and on the front page, the suicide rates had been published. They do these studies every fifteen years or so. The rates have gone up precipitously. The largest increase, the largest change in those numbers was actually among women 40 to 60 years old in North America. Very different demographics, psychographic in Australia but the same thing, that people were taking their lives at an alarmingly higher rate and also among teenage girls, very young like twelve, thirteen. Not big numbers. We know they’re not large numbers but the rise, the change in the percentage was precipitous. It’s all about self-worth and not having the capacity to change it. That’s really what I set out to do. As a programmer, I know we can reprogram ourselves for happiness. We can program ourselves to have a better ride. Life is meant to be ridden out to the end. My decoding part, I have these little decodes, one of them is smiling when you’re alone. How many people don’t smile when they’re alone? The reason I smile when I’m alone is because I realize I never am. That’s the beauty of life. You’re always held in some way. Understanding the self-worth, if you think of the most beautiful painting you’ve ever seen. If I shrunk you down and put you on that painting and on that canvas and you look around you, you would just see a bunch of bloody crappy colors sometimes depending where you are in it. When you back up, you’re looking at a Raphael painting, you’re looking at Matisse, you’re looking at something done by Leonardo da Vinci or one of the masters. When you back up, you see the whole picture. The reason we never see the picture that God has painted for us is we’re always standing on that canvas. You just have to believe that you’re standing on that bigger beautiful image because that’s what it is. All those things add up to that, all the colors and all the experiences you have when you’re going through something in your life. I’ve come to that realization and that’s really the beauty of life, to learn all those experiences. Why do you think we have them all? They all mean something. Just like we have things that taste sweet and things that taste bitter, but when you mix them just right sometimes you make something incredible with it. Robert, do you dig A Course in Miracles? I can count on one hand the number of spiritual books that I’ve read and have actually finished. I haven’t done any of these courses. All of this stuff is just what I call downloaded. I just innately feel it, know it and I’m giving the information for it. I’ve talked to some incredible spiritual people on this planet and they’re looking at me saying, “How do you know that?” “I just do. It was given.” That’s how I’ve lived my life for the last 30 years and I’ve taken incredible time to look at the smallest moments of life because that’s where the beauty is. I’ll sit down and look at just how a child smiles, how two people are holding hands, how they’re just talking to each other. Just the littlest things in life are where the beauty is. I call it old souls. Old souls do stop and smell the roses. That’s what you need to do, slow down and take it in; as fast as everything is coming at us with technology and the internet and the news. There are stuff now being talked about on the news that I’m just sitting here thinking, “This is an opinion of an opinion of an opinion.” You know how that is. When you pass a word of mouth down the chain, the whole story is different by the end. They’re reporting on things as it is locked down as this occurred. We don’t know. I like to sit back and get all the facts first. I’m not saying there’s fake news, I’m not on either political side. There is some validity to waiting to actually get the full story because there are people that are making judgments before all the facts are in. When did we switch over to that? We can reprogram ourselves for happiness. We can program ourselves to have a better ride. I’m contemplating what you’re saying. I feel like there’s been a switchover. I feel that judgment’s been with us too long to remember for any of us when that began. A couple of things that you said that are really important. One is that I don’t believe it requires a reading. I think our spiritual practices are different, our paths are different, yet all roads lead to the same place regardless of what the teaching or the text is. I do think the text and the teaching is important. It has been for me anyway because it helps to allow myself to be open when I’m closed. I find my heart opens and closes the way the aperture of an old camera works. It opens and closes. I think that’s probably the case for most people as well. Anything that helps me to open is a great thing. I love A Course in Miracles not because I’ve read it. I’ve only read actually one section of it. I’ve perused other areas of it. I’ve spent a few years in this one spot that a friend referred me to Chapter 30, which is The New Beginning. What’s really beautiful in the text is the discussion of these decisions that we’re making from the moment we wake and probably even in our unconscious states. We’re making decisions continuously either with the truth, knowledge of love and what is true or with something that’s less truth, more from a place of fear or some other word that whatever you would say is the antithesis of love. Very much, I think those are judgments, those decisions are our judgments. We’re making judgments all the time. The question is what are you making those judgments and those decisions with? To be a witness to all the places where love exists. In fact I think it’s fair to say there’s nothing we can look at that doesn’t represent love in some way. Even in the ugliest of things, the ugliest of situations, the ugliest of behaviors of people and everything else. There’s nothing about that that isn’t rooted in love in some way. To see that or to feel that is not an easy thing to do. We tend to want to move to judgment and make things right or wrong or good or bad. I guess that’s a part of how we navigate the world. Do you agree with that? The universe is the most perfect machine ever created. I remember I read something that Emmet Fox wrote. My view of the universe changed when I read that because there are no extra parts. If you think about a perfect machine, there are no parts that aren’t supposed to be in the machine and there’s nothing lacking. Even the word need, I’m a bit sensitive to that word in particular when I hear the word need come up. I don’t want to include you in this. I’m just saying that this is a personal experience and that I’ve witnessed it in a lot of people that we end up working with as part of our community where we think there’s something missing and we think there’s something lacking. That’s probably one of the biggest challenges in the human potential space or the personal development industry, the perpetuation of this myth or this lie that somehow we’re in need, that we’re lacking or missing something, that we just learn something, we just change this or that and we’ll be okay. Mine is a change in perspective on it. It’s not that it’s always missing. It’s that you’re missing out on seeing it. These experiences were things that we observe in the world. If our perspective was that there’s nothing erroneous about it, there’s nothing in there that’s not supposed to be in there, there’s nothing that’s missing from it because it is this perfect system, machine, whatever you want to call it, that we wouldn’t judge quite as harshly I think that something is wrong even in the midst of a tragedy. It’s very difficult to hear of the passing of an eighteen-year-old boy in an accident just as we did and not feel the tragedy of that and the despair for the people who have lost this young man and to have our hearts be broken for the whole situation. Yet at some other level in me, I feel called to feel that nothing’s wrong somehow. That even in the midst of that there’s nothing wrong or lacking or missing because it’s perfect. That’s very difficult to entertain those two seemingly conflicting perspectives at the same time, and yet still honor the grief and honor what’s real in the moment, which is that no one wants to lose someone ever and you never want to see anybody else lose someone that they love. To entertain that compassion and awareness at the same time that you might entertain the thought that nothing’s wrong in absolute terms is interesting. Divine Inspiration: When you look at the silver lining in a situation, that’s where the light is. The night when I spoke to my dad, my mother was going to pass away, and we knew it was coming. I was given that. It was going to happen at 2:30 AM. This was around 8 PM prior to that. I was walking him back up to his room. He was in a nursing home because of the stroke that he had. He was in a wheelchair so I’m bringing him back up to his room. On the way, he said three words and it summed up everything. He said, “Death and taxes,” and he was smiling. At that moment I realized, here he is in his twilight knowing that he’s facing death soon and that his wife of 64 years is going to pass as well. He also made a joke in that, which taught me a lot. It’s like, “We’re all not going to get out as alive. It’s what do you do between that day you’re born and your last day, whether that’s 10 years, 18, 20, 50, 70, 90, whatever that is.” He also said, “You’ve got to laugh your way through and find the humor in those moments too.” That’s all he did. He just said those three words to me. I took him to his room and he said three other words, “I love you.” Six words summed up everything. That’s all it takes and that’s why I always try to smile. In moments when you’re in a heated argument or something, you can find the humor in that. It just dissipates the whole thing to something absolutely absurd that’s going on in that moment. Anytime you’re arguing, it’s totally absurd. When you can look at it and pull yourself out of it in the middle of it, you’ll find the humor of why even worry about this. This is going to be nothing in tomorrow or a week or a month. It’s really not worth it. That’s their way of bringing it to the conscious, bringing it out of, “What is this all about anyway? We’re on the same team.” It’s basically saying that. What are we so serious about in this moment when love is the most and the only important factor? How beautiful, I enjoy your presence. That’s why I was so excited that we get to share your words with our community. We were brought together for a reason. It’s just great to share on this show. I know their perspective and outlook and I feel we both have that same side. Being a lawyer or programmer is basically the same thing, especially when you’re writing contract or going through the law, there’s a logical order to it. I have a knack of writing contracts as well so I know that side. Instead of a law path, I went down the ones and zeros path. I wanted to talk about youth and the work that you’ve been doing in the group or in that arena. Would you share a little bit about youth success? For the last 30 years, I’m the only volunteer in New York State who’s been with the Hugh O’Brian Youth Leadership since pretty much its inception. When I started the first year, there was this young woman who was afraid she wasn’t going to get into college. I have just graduated because I haven’t started that long ago. I thought, “This is easy. You’re going to get in.” She had tears in her eyes. She was definitely afraid that this wasn’t going to happen for her. At the end of this conference, this was my first year, she came up to me and said, “This changed my life.” She was smiling and crying. I thought, “We just had fun over this weekend. There’s a lot of enthusiasm.” I’ve spent a lot of time thinking about that word enthusiasm because that really sums up what Hugh O’Brian Youth Leadership is. Originally, enthusiasm was meant as inspiration or possession of divine presence. To be filled with enthusiasm, my belief is you must also filled with love, and that’s what it is. This love happens during these three-day seminars. Everybody is just given an opportunity to discover who they are. They’re taken out of their cliques. There’s no media. I don’t even know what happens in the world for three days. That’s how packed with information and activities happen during this weekend. To be filled with enthusiasm, my belief is you must also filled with love. She came back the next year and she got a phone call came back and she’s crying and I thought her grandfather passed away or something. She said, “No. I’ve been accepted to college. There’s more, it’s on a full scholarship and it’s the Harvard. It’s because you were here for me. It’s because this organization was here for me that I have this opportunity. I’m going to spend my time giving back.” She volunteered and continued to give back year-after-year to this organization. I thought, “I have to stay involved. If it’s going to have this impact, these kinds of ripples in the world, and they’re all taught leadership through community service, what’s more beautiful than that than learning how to lead to give back and to make a difference in the world and to stand up for what’s right?” I threw myself into this. I’ve been involved 30 years. I have a story after story after story like that one. There’s just an amazing fireworks display that comes out every year with this. I absolutely love volunteering with this group. I’d love for people to just get the website. It’s HOBY.org. What’s the best way to find out more about the organization? For the organization, go to the national site because they’re going to have connections to all the other volunteer groups. This is all grassroots thing throughout the entire world. It’s in 38 countries. It’s in every state in the union. You can find volunteers if you want to just bring positive change to your life. People ask me, I just turned 52 and they think I’m in my 30’s and they’re wondering, “What is your secret?” “It’s volunteering with high school sophomores that are just full of this wonderful energy.” Maybe it’s affecting me. That organization is something people can find out more about. I also want them to find out about the books and things that you’ve written. What’s the latest book and where can people find out more information about you, about the book? The latest book is Soul Cyphers: Decoding a Life of Hope and Happiness. If you go to SoulCyphers.com, there is a link also to that or you can go to my main page. My calling site is GuideToTheSoul.com. The other site SpiralDesign.com, is the marketing firm. You’ll find me through any of those. The Facebook page is something too, which I think people really would love because those inspirational daily messages are really, really cool as well. On Facebook, what is that site? Any of the social media, you can go to Facebook.com/GuideToTheSoul, Instagram.com/GuideToTheSoul and Twitter, @GuideToSoul, also in YouTube. They’re all out there. I would love to talk about rituals, practices, conscious habits that we’ve adopted. Our audience, our community, loves to hear about that. You’re going to get the benefit, as I do, of being able to learn about other people’s rituals because some of these things we can adopt. I’ve adopted a brand new ritual at the beginning of the New Year and I’m going strong with it, which I love. Would you share with us one ritual that’s been pretty constant for you or something new even? It’s usually when I go to sleep. I actually say a prayer in my mind when I go to sleep. I just clear everything out that’s negative from the day and just let things unfold. I do micro meditation. I’m almost instantly connected, based on what happened to me, I’m in instant meditative state. I can just close my eyes in a dark room and I’m definitely linked. I do this prayer. When I wake up, I smile before I get out of the bed. That’s the first thing. Then I think of something about what’s gratitude for the day. That sets the closure of your day and the beginning of the next one because, “I’m here again and I’ve got another day.” The one thing about days for me, no matter how dark it gets, the sun still has to shine. Just because you can’t see it doesn’t mean it’s not there. Go out there, understand that even the sun has to shine on dark days and you know it’s got to get up and do it all over again the next day, no matter what the weather is going to be. That’s how life is. Take it on with that and carry that light that’s always inside and you have it. We definitely have an internal climate, as well as the climate that surrounds us. Robert, what a blessing to have you with us. I really appreciate your presence here. Thank you for being on the show. Thank you so much. I really enjoyed. To everybody listening in, definitely send me a message if anything that Adam and I talked about touched your life. I love to hear from the people. Please pass those comments on to me too if you receive them. Remember, Guide to the Soul. I want to share that ritual that you are probably familiar with. If it’s a reminder, I’ll just say from my perspective, I’m pretty thick at times I need reminders and I don’t mind getting reminded of my reminders over and over again because it’s important that I go back to the basics on a regular basis. If you’ve enjoyed this episode as I hope you have, I would love for you to go on iTunes and leave us a review. If you haven’t subscribed yet, please go ahead and do that as well. I’ll give you a couple of resources in there. I want to leave you with that ritual. Our community on Facebook is really thriving and it’s thriving primarily because people are willing to be real and vulnerable. That’s what we love so much about it. It’s the Start My PIVOT Community on Facebook. The shortcut link to that is PivotFB.com. It will take you right to the front door where you can join, answer a couple of questions. We curate the community, which means that we are careful about who we say yes to. If you’re willing to answer those questions and all that kind of thing, then it’s perfect. Then you come on into the community and you’re willing to give and receive support, not just the giving part. We’re not exclusively looking for people that want to come in and serve and give, but we really want everybody to work on the other side of the coin. “There’s a front and back to everything,” as my dad always said. We know that one of the biggest issues for a lot of people is their receiving muscle. If you’re prepared to come in and both give and also to be a receiver of the love and the support and the resources of other people, then you’re the perfect person to join us there at Start My PIVOT Community. Also, if you are wondering about your own pivot and want to engage with us at the level of that inquiry, we’ve got six really powerful questions to kickstart the pivot that may be upon you or the one that you’re contemplating. You can go to StartMyPivot.com and get access to that free guide, a kickstart guide. From there, you can also get links into the Facebook group, to the podcast, etc. and then you can join us for some deeper inquiry, which is just a joy for us as well. I want to remind us all as we started this show with something that I think is really true. It’s my perspective so I can’t prove it. I don’t have to prove it. You get to choose for yourself what you believe in. What I believe is that we are one. We are connected in ways that we cannot fully appreciate or understand. It’s a faith I suppose and it’s also something that’s been confirmed to me in a multitude of ways when I’m paying attention and when I’m present. We are one, and one of the ways that we get to connect is through this medium that we listen and we watch and we consume some of the same things together and we’re taking that knowledge and applying it in our own lives and modeling it for the world. That’s a beautiful way for us to connect. Three simple steps to begin the day, wake up, be grateful for a moment and declare, “I love my life.” That’s a ritual you can practice for the next 21 days and then beyond. I’ve had people all over the world who’ve let me know that that simple 21-day practice turned into a ritual that has lasted years and years and years as it has for me. Wherever you are right now, have a beautiful rest of your day. We’re sending you tons of love. Robert and I are sending you our love. We’ve enjoyed being with you. Until next time, I will say. Ciao for now.